Allowing your kid to have his own cellphone is always an important moment. It means another step toward for his independence and this is a useful tool to enable him to keep in touch with friends and reassure you as parent. But even a kid that has been advised on how to use his device safely can be faced with shocking online content and unexpected in-app purchases. Moreover, being connected all the time could be a temptation to chat, play games and do other online activities… This could be a detriment to his school time, physical activities and even bed time. 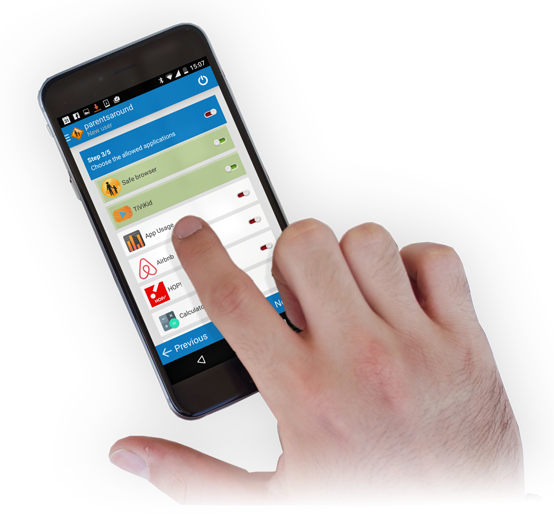 Parentsaround.com parental control helps your child to regulate his use on his Android smartphone and protects him from any inappropriate content. You don't even need to take his phone to set up your parental protection; ensure his online safety from your dashboard, available on any device connected to the Internet. Parentsaround.com offers a tailor-made solution, available 24/7 on any network your child uses (3G, 4G, Wi-Fi). 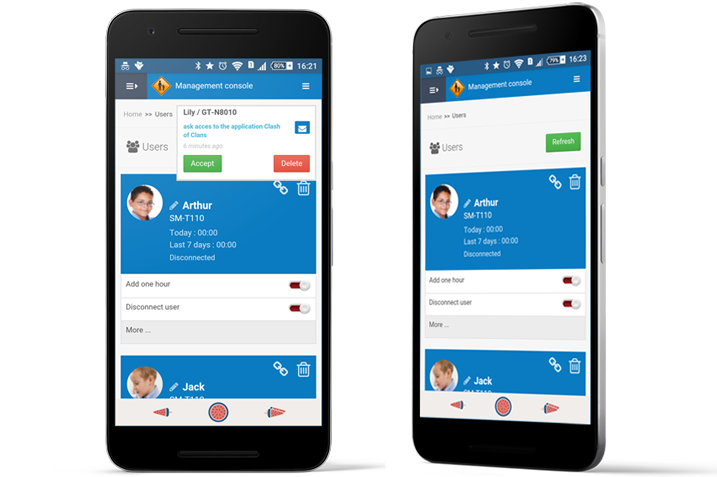 Download our parental control to his Android smartphone and customize his protection level to protect him at school, at home, even at his grandparents' home or on public transport. Define a maximum time of use per day or per week to prevent screen addiction. 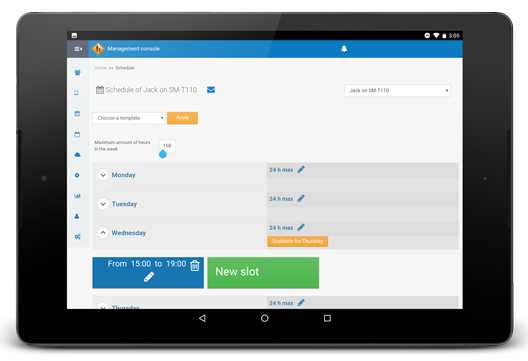 Choose the critical apps, which are available 24/7 even outside his allowed schedule. 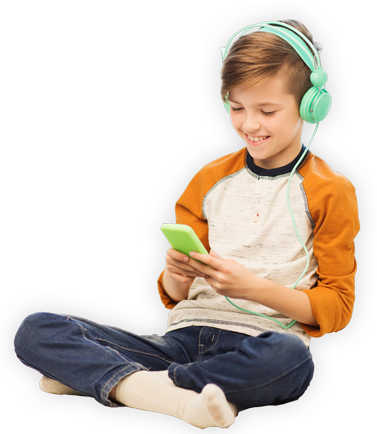 Block any inappropriate content with an Internet filtering system adapted to your kid's age. Let him explore the web without any risk thanks to our safe browser. Block any apps that you don’t want him to use anymore. Prevent any apps from being installed or activate automatic notification when he downloads a new one. Do you need to start the configuration of the parental control, or just make a change? Log-in to your online dashboard and update your settings from your own device without even having to deprive your kid of his phone. Because communication is the key your child can ask you to allow an app. You will receive his request in real time on your dashboard and you can respond to his it (allow / block / more info) with just one click.